Dr. Catherine Hebert is originally from Lake Charles, Louisiana where she received her Bachelor of Science degrees in Biology and Chemistry from McNeese State University. 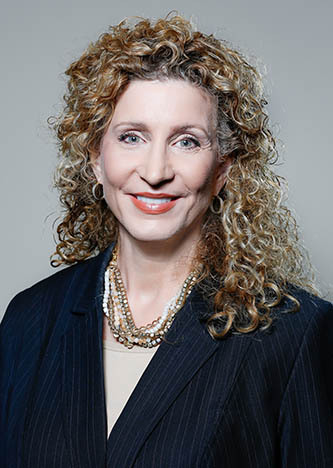 Following this, Dr. Hebert graduated from Louisiana State University’s School of Dentistry in 1981 and furthered her education with three residencies. To insure the highest quality treatment and best possible outcome, Dr. Hebert continues to enhance her knowledge and skills by traveling around the globe to train with leading endodontists and implant specialists. She maintains an Associate Professor position and teaches at LSU School of Dentistry in New Orleans. Based on her hospital training, Dr. Hebert maintains special certifications in the area of patient sedation. She actively pursues an average of 100-200 hours of continuing education annually to maintain her position as a leader in the field of endodontics. Dr. Hebert has been on the Northshore since 1986. She and her husband, Steven Carpenter, have two children, Kevin and Katie. Dr. Hebert enjoys traveling and cooking. She developed an extensive recipe collection which she shares with her patients. View Dr. Hebert’s Curriculum Vitae.